institutions for the purpose of availing refinance/ finance for on lending to micro units in manufacturing, trading and service sector in rural and urban areas. The eligible institutions, as indicated below, may approach MUDRA corporate office at First Floor, MSME Development Centre, C-11, G Block, Bandra Kurla Complex, Bandra East, Mumbai – 400 051 or the nodal officers placed across the country. All scheduled commercial Banks in public and private sector with 3 years of continuous profit track record, net NPAs not exceeding 3%, minimum net worth of Rs.100 cr. and not less than 9% CRAR. All restructured RRBs having net NPA within 3% ( relaxable in deserving cases), having profitable operations and not carrying any accumulated losses and CRAR >9%. and/or the promoters/management having experience of at least 10 years in this area. b. Having minimum outreach of 3000 existing borrowers for MFIs. c. Having suitable systems, processes, and procedures such as internal accounting, risk management, internal audit, MIS, cash management, etc. d. Meeting the minimum CRAR and other norms stipulated by RBI for MFIs registered as NBFC-MFIs and comply all the prevailing RBI guidelines. For all categories of NBFCs, registration with RBI will be mandatory. e. Should be a member of a Credit Bureau. a. MFIs (including NBFC-MFIs) – minimum Capacity Assessment Rating of mfr5 by CRISIL or its equivalent. NPA not higher than 3%. h. For all MFIs, it will be desirable to have undergone Code of Conduct Assessment (COCA) with a minimum score of 60 or equivalent. 1. The assistance will be based on internal credit appraisal process by MUDRA / SIDBI. 2. The assistance shall be priced based on risk assessment, geographical distribution, social parameters, etc. Please note MUDRA is a refinancing firm only. 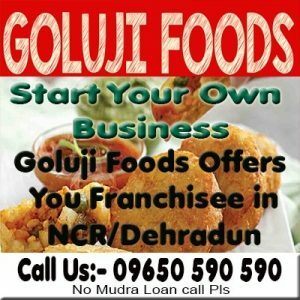 Need MUDRA Loan, Click here to apply Online.